Tennis British Columbia (TBC) is seeking members who are interested in serving on the volunteer board of directors and would like to discuss the scope and commitment of the director’s position with the Nominations Committee. Click here to learn more and to submit your application for the 2019 Tennis BC Board of Directors. Vancouver. Mark grew up playing tennis at Hollyburn Country Club, and over the last dozen years has enjoyed a renewed enthusiasm for the sport, playing in social leagues, a number of social tournaments and attending tennis fundraisers. Mark has extensive experience resolving a wide variety of complex legal disputes, many of which include large construction projects, such as the construction of the new BC Place Stadium roof. Mark is effective at building consensus to achieve strategic objectives and is keen to use these skills and his enthusiasm for the sport to promote tennis throughout British Columbia. 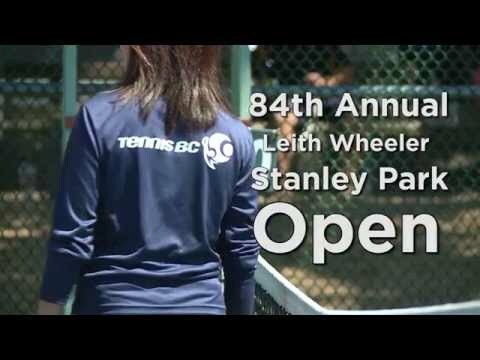 South Cowichan Lawn Tennis Club – Karen is a full-time faculty member at Camosun College in Victoria, BC, where she has been teaching in the School of Business since 1989. She is a TPA-certified Tennis Instructor and has worked extensively with tournament committees at various clubs and associations over the years. 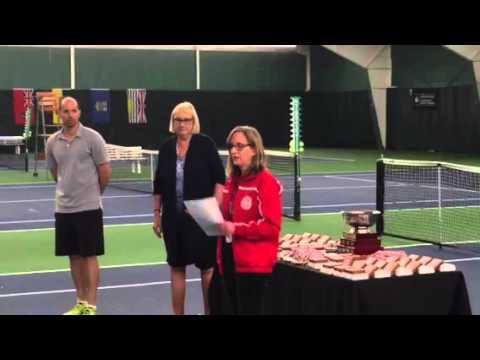 In 2015, Karen was Tournament Chair for the Western Canadian Senior Indoor Nationals, which won Tennis Canada’s Excellence Award for Event of the Year. 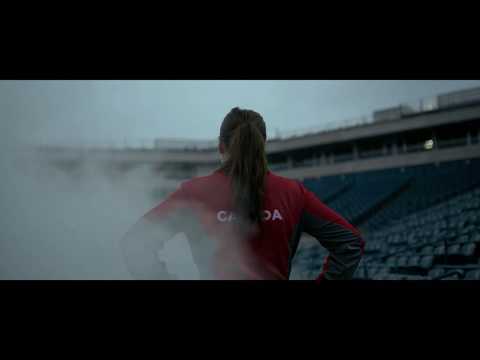 Her competitive resume includes three National Doubles Titles, and she has competed in six World Championships. Denise is a Chartered Professional Accountant and a Consultant, specializing in financial reporting, systems and business processes. Denise has been passionate about tennis from a very young age and now enjoys traveling the globe to different tennis tournaments to support our Canadian tennis athletes. In addition to the Tennis BC Board, she also served as Treasurer at the New Westminster Tennis Club. Denise joined the Tennis BC Board of Directors to find more ways to inspire and bring tennis to the people in our community. Justin Kates is a partner at DuMoulin Black LLP, with a law practice in the areas of securities, corporate finance, mergers and acquisitions, and corporate and commercial law. Justin works with clients in technology, life sciences, food & beverage, and natural resources. Justin is a director of various public companies and also sits on the finance committee of a charitable organisation in support of youth athletics. Justin attended WMU on an NCAA division 1 tennis scholarship and also served as assistant coach after graduation. 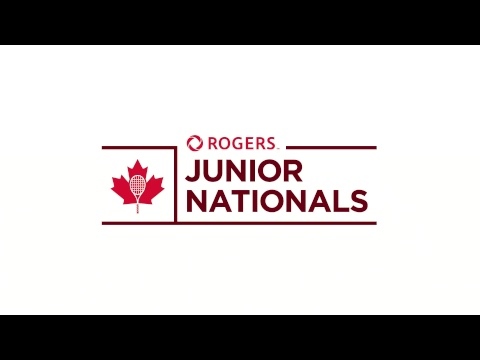 Justin has held an ATP world ranking and is consistently ranked amongst the top open players in B.C. Salmon Arm Tennis Club – Winston resides in Salmon Arm, BC and spent 26 years in the Insurance business until 2013 when he and his partner sold two brokerage offices to Johnston Meier Insurance Group. Currently , he co-owns commercial real estate and has served on numerous Non Profit Boards , including Chairing the Shuswap Trail Alliance, Salmon Arm Downtown Association, Downtown Activity Centre, Downtown Revitilization Committee, and sitting as a Director of Salmon Arm Economic Development Society, Insurance Brokers Association of BC, and the Salmon Arm Tennis Club. Winston has a Bachelor of Arts from the University of Western Ontario and obtained designations from the Canadian Accredited Insurance Broker(CAIB) and Chartered Life Underwriters ( CLU) programs. He has been on the Tennis BC Board since 2013 and currently sits as 1st Vice President. His background in tennis includes playing junior tournament in the late 1970’s and coaching at the All Canadian Tennis Academy from 1984-1987 in London, Ontario. Winston is a member of the Tennis Professional Association (TPA) and volunteers to help coach at the Salmon Arm Tennis Club. He has organized events such as the Salmon Arm Tennis Club Open and Closed tournaments , and the Miele Team Tennis Interior of BC playdowns . He is Co – Chair of the Salmon Arm Indoor Tennis Building Committee and Chairperson of the recently formed Facilities Committee with Tennis BC to create resources and information for member clubs to access related to the planning and construction of new courts in BC. Marvin Storrow is a Partner Emeritus with Blake, Cassels & Graydon LLP involved in arbitration, mediation, civil and criminal law. Mr. Storrow has been involved with a wide variety of litigious matters and alternative dispute resolution matters over the past several years. He has been a member of the bar since 1962, a chartered arbitrator and a graduate of UBC Law School. Marvin has been a Director of a number of organizations, including the BC Epilepsy Society, Greenpeace Canada, the West Coast Environmental Law Association, Cambie Surgery Centre, the Justice Institute of British Columbia Foundation, the BC International Commercial Arbitration Centre, the Arbutus Club, the Vancouver 2010 Bid Corporation, and was a 2010 Olympic Ambassador. With respect to sports generally, Mr. Storrow has been a Board member of the BC Sports Hall of Fame and Museum for the past 15 years and has chaired approximately 12 of the Board’s annual Gala Award Dinners. In addition, he has had the opportunity to observe tennis at very high levels in that he has been to each of the four majors on a number of occasions, and as well has been a regular attender at the professional tournament in Indian Wells, California for several years. Marvin developed a passion for sports from a very young age and was the first stick boy for the very first Vancouver Canucks hockey team; he has played soccer, fast pitch softball, and tennis competitively and was a ranked slalom and downhill skier as a junior. With respect to tennis he has competed in “low level” tournaments within the province over the past many, years, and to this day continues to play approximately 4 times a week. Kavie Toor is the Senior Director of Facilities, Recreation and Sport Partnerships at UBC Athletics and Recreation. He is responsible for providing strategic leadership to the recreation and facilities portfolios including capital planning, student and community programming, business operations, facility operations and large event management. Kavie has over 15 years of leadership roles in progressive leadership positions in sport and business. He has played a lead role in developing over 15 capital projects valued at $250M including the UBC Tennis Centre, UBC Aquatic Centre and the Doug Mitchell Thunderbird Sports Centre. He is also UBC’s major event lead including over 200 major events ranging from concerts to national championships to the Olympics and over 4 Davis Cup Tennis events. In addition he has been responsible for significant project fundraising efforts including over $150 raised from business partners, alumni, donors and government partners. He is a passionate and avid Tennis fan and former junior player who still plays on a regular basis. Kavie is a UBC grad with a Masters in Human Kinetics, Bachelor of Education and a Bachelor of Arts degrees. He has held numerous board, volunteer or project lead roles including: Sport Hosting Vancouver, Athletics for Kids, UBC Alumni Association and many others. Over the last 30 years Cyndy had owned and operated a successful accounting and business consulting company which specializes in business start-up consulting and management, year-end financial statement preparation, and both corporate & personal income tax preparation. Cyndy resides in Victoria where, from age ten, she started playing tennis in the municipal parks. She played many junior and adult tournaments on Vancouver Island and the Mainland as well as coaching tennis at Oak Bay Recreation Centre during the 1970’s. In the last three years Cyndy has rekindled her competitive spirit by participating in the Canadian Senior tennis tournaments and has been nationally ranked in the top four in both singles and doubles. Cyndy has served as Treasurer for several sports associations and non-profit societies including Vancouver Island Tennis Association, South Island Tennis Association, Vancouver Island Field Hockey Association and Friends of Government House Gardens Society. Cyndy has always been passionate about tennis and now as a Board member for Tennis BC, she is very excited to help promote tennis as an accessible & popular sport available to all. Hollyburn Country Club – Rick Hastings was an active junior tennis player in B.C., and today h e and his family remain very involved in league, social and competitive tennis play. Rick has extensive board experience serving as a director for several private sector businesses as well as non-profit societies including two terms on the Hollyburn Country Club Board of Directors (2006-2010), two terms on the Lions Gate Hospital Foundation Board of Directors (2007-2012), and one term on the Tennis BC Board of Directors where he has held the positions of Secretary and later 1st Vice President (2014-2016). Rick has been involved in the apparel industry for over 30 years establishing his first company in 1986, and today owns and operates Canadian businesses that manufacture, design and distribute textiles throughout North America. Rick brings enthusiasm, business experience and a passion for developing and growing the sport of tennis. BC Representative – Since her graduation from UBC with her MD in 1978, Penny Ballem, MD FRCP FCAHS, has had a diverse career in the health and government sector as a senior administrator, academic medical practitioner and teacher/researcher. Dr. Ballem is a Clinical Professor of Medicine at UBC, a Fellow of the Canadian Academy of Health Sciences, and a recent appointee as a Senior Fellow in the Dalla Lana School of Public Health, Institute for Health System Management and Evaluation at University of Toronto. She has received significant public recognition for her work in medicine and public service including the Queens Golden Jubilee Medal for Public Service, the 2012 Wallace Wilson Award at UBC for High Ethical Standards and Leadership in the Profession, the Marion Powell Award from Women’s College Hospital for leadership in Women’s Health, and the Cannell Award from the Society of Obstetricians and Gynecologists of Canada for her contributions to leadership in reproductive health and others. In addition to being a member of the Tennis Canada Board, she also serves on the Boards of StreetoHome Foundation and the Heart and Stroke Foundation National Board. Full bio. BC Representative – A Partner and Managing Director at Tricor Pacific Founders Capital Inc., Richard is an accomplished businessman, with 30 years of experience in North America, the United Kingdom and Europe, including 15 years at the CEO and Chairman level. Richard lives in West Vancouver with his wife Ailsa, and two teenage children Daisy and Joseph. He is a tennis fan, and plays recreationally three to five times a week at Hollyburn Country Club. Full bio.